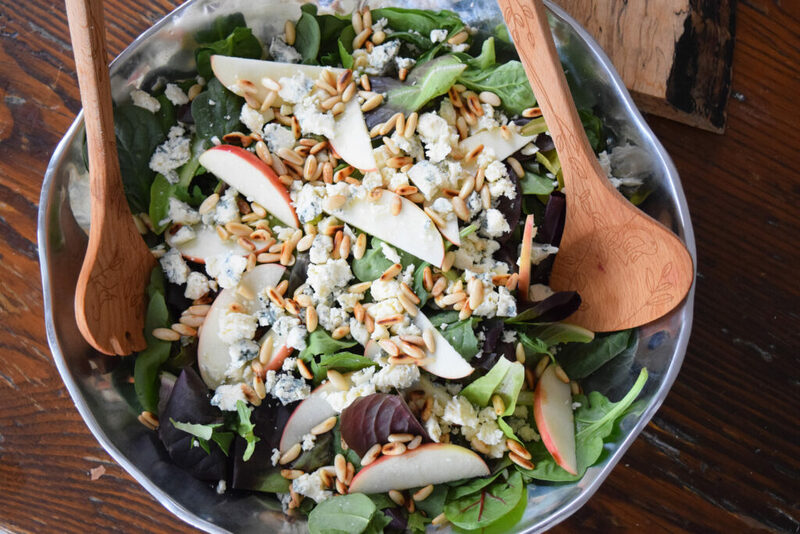 One of our family’s favorite salads combine salty, tangy blue cheese, some kind of apple, some kind of nut, and some sort of figgyness, I love it no matter which combo we whip up, but this is by far my favorite. 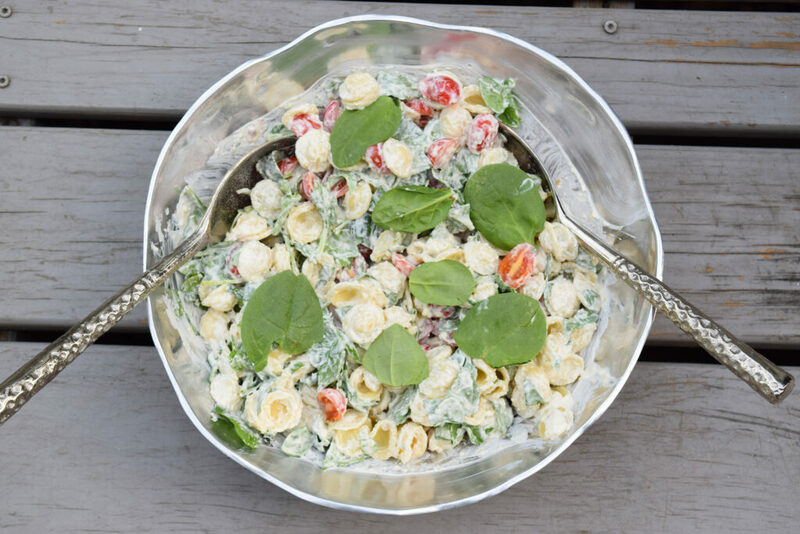 The dressing has fig butter (find it at Trader Joes! ), mustard, garlic, and balsamic….